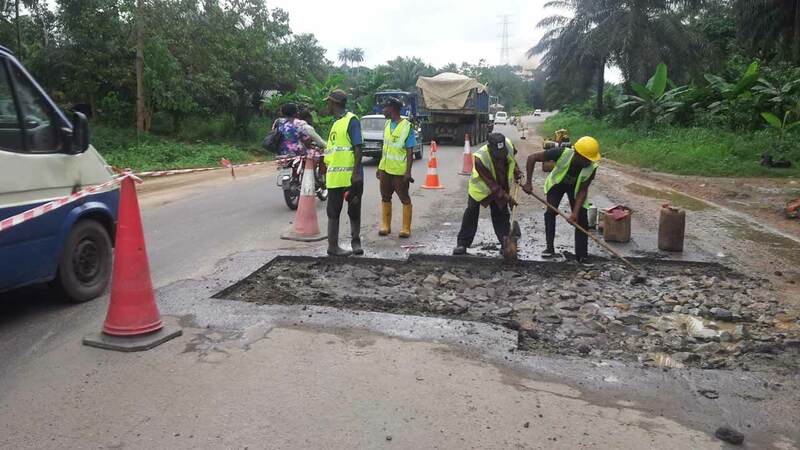 The Federal Road Maintenance Agency (FERMA) has engaged over 200 youths in Bayelsa state to carry out repair works on the failed portion of the six kilometers Yenagoa-Immiringi-Oloibiri road. Head of FERMA Bayelsa Field office, Ayoola Bolaji, an engineer who disclosed during an inspection of the road said the youths were sourced from the communities located along the roads. According to him, the economic importance of the road to the state and the community cannot be overemphasised. 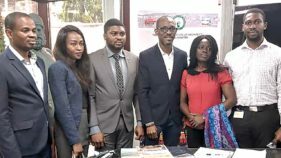 He said the agency was on a renewed drive to step up its activities in terms of road maintenance and in line with the 12 weeks mandate given by President Muhammadu Buhari to the Agency to begin repair works on federal roads. He said; “The economic importance of the Yenagoa-Immiringi-Oloibiri road cannot be overemphasized as it has several oil and gas installations. The scope of work entails the reinstatement of failed section of the carriage way, patching of pot holes and the provision of asphalt over lay and wearing cost of the distressed section of the Yenagoa-Immiringi-Oloibiri road, these activities are been carried out through direct labour drive where we have engaged over 200 youths from the communities”. He added; “We have also carried out vegetation control drive along the Tombia-Oloibiri road because overtime grasses had grown on the shoulders of the road thus making the carriage way narrow, but with the vegetation control drive, we have been able to open up the road and improve visibility and reduced accident”. Bolaji noted that besides the Tombia-Immiringi-Oloibiri road, FERMA has also carried out repair works on other federal roads in the state including Mbiama/Yenagoa road, Primary roads 1, 2 and 3, Tombia/Amassoma road and a section of the East-West road from Patani to Mbiama.